Ivy Velasquez did, so she became someone else. In the 3D virtual world Marionette City, you can be anything you want but everyone still knows who you are. Driven by her desire for a new life, Ivy takes her future in her hands when she makes another identity for herself. A brilliant designer, Ivy works for one of the huge firms which control the online system the world relies upon for both business and pleasure. But one day, Ivy discovers that her alternate self, Reuben Cobalt, had been murdered. Since alternate identities are forbidden by the firms which control access to the nets and to M City, Ivy has nowhere to turn until she finds Andersson Dexter. Part private eye, part vigilante and part cop, Dex sets out to uncover Reubens killer. Since the firms control almost every aspect of life, including law and order, justice for average people comes only at the hands of the outlaw organization to which Dex belongs. Self Made is a murder mystery set in a vision of a future that seems to lurk just over the horizon. But above all, it is a story of how people strive to control their own destinies, and how that desire affects them and the people around them in ways they could never imagine. 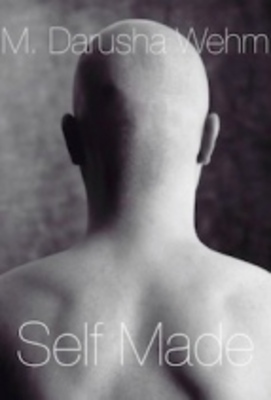 Self Made Audiobook audiobook 118141942 4.99 darusha Fresh Download Available!